Monday Schedule: Xfinity Series Race at 10 a.m., Cup Series Race at 2 p.m.
INDIANAPOLIS, Sunday, Sept. 9, 2018 – The Indianapolis Motor Speedway regrets to announce that persistent rain has forced the postponement of all NASCAR track activity Sunday, Sept. 9 at the Indianapolis Motor Speedway. 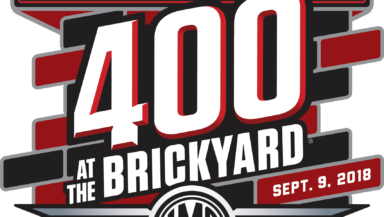 The Big Machine Vodka 400 at the Brickyard Powered by Florida Georgia Line for the Monster Energy NASCAR Cup Series will start at 2 p.m. (ET) Monday, with the Lilly Diabetes 250 for the NASCAR Xfinity Series taking the green flag at 10 a.m. The starting lineup for both races was set by the NASCAR Rule Book since qualifying for both races was rained out Saturday.